We offer a wide rage of high yield gold recovery for computer scrap products and below is a list of the cpu scrap types we have. Gold Plating Plant Mud Waste. We are one of the leading traders of a vast range of .Gold Plating Plant Mud waste. We hold expertise in providing our clients with premium quality drugs especially for treatment of Cardiovascular Diseases. Procured from renowned manufacturers, these drugs were formulated using the latest scientific technology and high quality raw material. Properly checked by our quality controllers, these drugs are highly effective, harmless, and free from any side-effects. 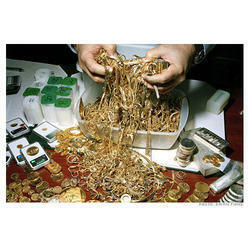 We are a reputable and registered and one of the leading quality service trading company who deals on exportation/supplies of Gold-Bars, Gold-Dust. and Rough Diamonds, We also have good miners who will give total commitment and support in other to increase the mining technics and production. We are well known government approved company with export license and our aim is to meet the need of all interested buyers of Gold-Bars, Gold-Dust and Diamond! out there who are willing to do a legit business without any discomfort and we're willing to give the best offer and have a long term business with any of our customers.